Search Engine Optimisation (SEO) is the process where by someone modifies a website so that it matches closely with the requirements of the search engines. A properly optimised website will rank well in the search engines becouse it will be indexed and read by the search engines. Major search engines like Google and Yahoo carry out the process of reading your website via computer programs which are refered to as "Spiders" and "Bots". If these programs like your website they will assign a value to the website. The higher that the value is assigned the better the rankings. It is the job of a search engine optimiser to improve your website and give the search engines the information they are looking for so that they like what they see and thus move you up the rankings. 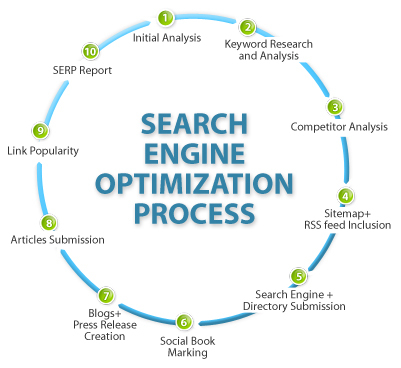 The success of any search engine optmisation campaign is to a large part dependant on what keywords are used. 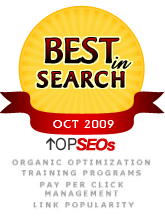 If the keyword is not that popular then the chances of attaining front page listings is easy. This is simply because there is less competition for that particular keyword. If the keyword is popular then the process of optimising that keyword is more difficult simply because there is more competition. What guarantees success of getting your chosen keywords to the top is not neccesarly the choice of keywords but the company that you choose to carry out your search engine optmisation. Here at Naz Marketing, our clients in all sectors of business attain front page listings. So how are we so succesfull at SEO? The answer lies in our abilities to cover all the essential requirements for websites to rank well in search engines. This can be divided up in to two parts. The first part is refferd to as On-Page SEO and the second part is reffered is reffered to as Off-Page SEO.
. Carry out analyses a audits to ensure that the search engines pick the pages up and include them in its database.
. Increase the value of the internal pages of the website by the utilsation of Anchor Text.
. Ensure all the code is enhanced for the search engines. This will include Title Tags, Meta Content and Descriptions.
. Analyse and improve content to code ratios. Also make sure that your code is valid by using tools such as W3C validator.
. Ensure all images on the website are optimised and the search engines can understand and read them.